US Cellular Field, formerly known as the New Comiskey Park, is the home of the Chicago White Sox and is located in Chicago, IL. This image was sent in by SS. 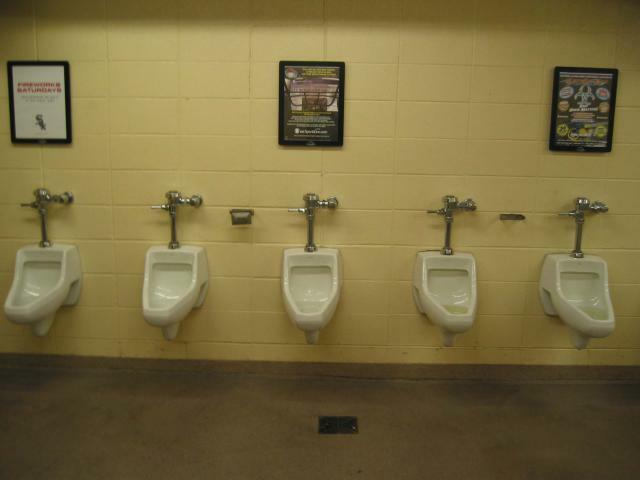 He writes: "These is part of a line of nine Kohler urinals (the "Derry" model) in one of the men's rooms on the field level, the third base side. I took the photo before the crowds arrived, Sunday July 20, 2003. The Sox beat the Detroit Tigers 10 - 1."